Opposites attract, or so they say. And Jan Akkerman and Thijs van Leer certainly are opposites. Both incredibly gifted, the two musicians inspire each other when they meet in Focus. Here you find Akkerman and Van Leer's exciting legacy of superb continental-European progressive rock. And jazz. And classical music. 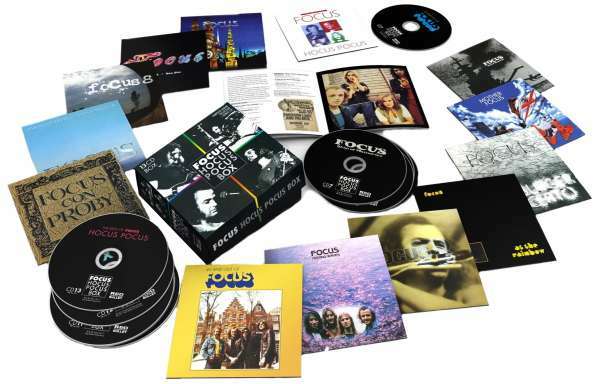 Plus the non-Akkerman Focus releases, with a rejuvenated band helmed by Thijs van Leer, innovative as ever, creating new sounds like no other band can: 13 albums of unsurpassed, ground-breaking music.